City crews are expected to begin replacing two "vintage" water mains and reconstructing part of the road on Jarvis Street this week in a project that will cost $2.3 million, the city's chief engineer says. 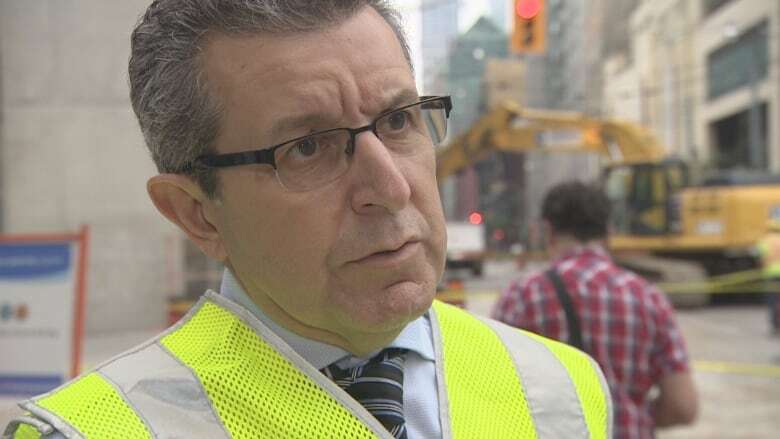 City crews are set to replace two "vintage" water mains and reconstruct part of the roadway on Jarvis Street this week as part of a $2.3 million project, Toronto's chief engineer says. 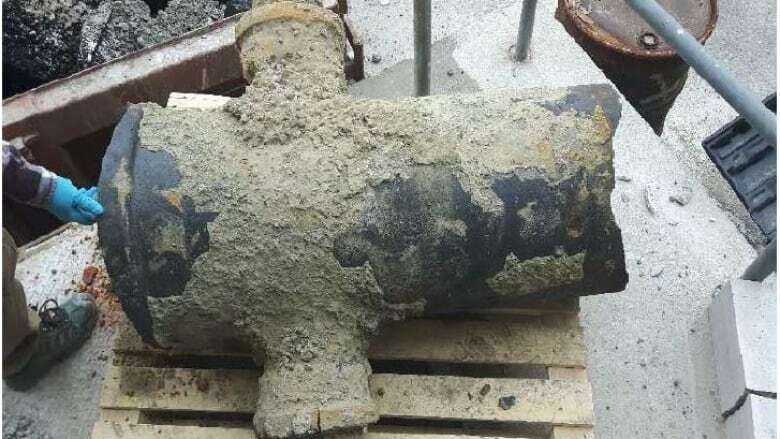 The old water mains, situated between Dundas Street East and Queen Street East, are more than a century old, according to Michael D'Andrea, executive director of the city's engineering and construction service. Crews will replace both pipes with a new, larger diameter PVC water main to improve water service in the area, he said. 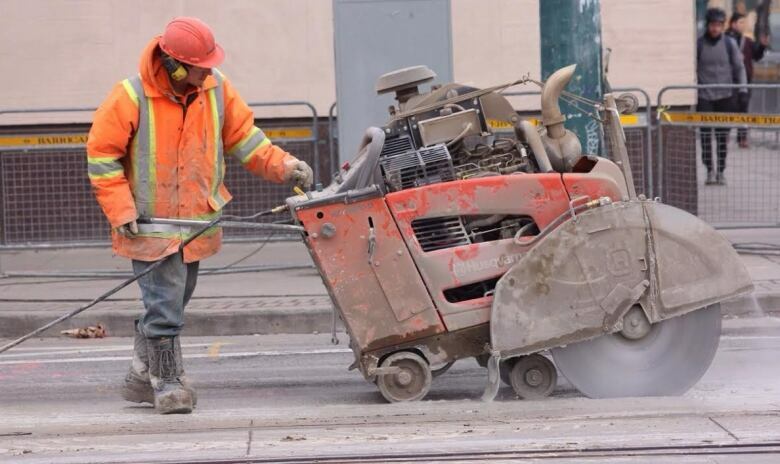 Road crews will also bring that stretch of Jarvis Street up to a state of good repair. "It is a big project," D'Andrea told CBC Toronto. The work is part of a wider $720-million plan to maintain and improve infrastructure in Toronto. It is an attempt by the city to "stay ahead of the curve" in the hope of preventing water service disruptions, water main breaks and resulting damage to roads that could affect traffic, businesses and residents, he said. The upgrades are also necessary to support future growth in the downtown core, he added. Toronto Water and Toronto Transportation Services, he said, are working together to ensure the project creates the least inconvenience possible. "In Jarvis Street, it is truly an integrated project," D'Andrea said. The combined effort will be carried out in two phases to minimize disruptions to residents and traffic. "At our end, it's integrating those needs as one single construction contract, rather than going in, replacing the water main, then sometime later coming in and reconstructing the road," he said. If all goes as planned, the water mains be will be replaced by early October and the subsequent roadwork completed by the end of October. One northbound lane and one southbound lane of Jarvis Street between Dundas and Queen streets will be open to traffic during the construction period. However drivers and cyclists will be urged to use either Church or Sherbourne street to travel to the downtown core. Some curbs and driveway entrances will be dug up and replaced, but there will be pedestrian access, according to the city. "Smart" traffic signs placed at Adelaide and Queen streets will provide road users updated estimates of how long it will take to travel through the work zone northbound to Gerrard Street E. The new signs are part of Toronto's smart work zone pilot, the city said in a news release. It will allow officials to monitor conditions in real time and make any necessary changes to traffic signal timing to help reduce delays. While work on Jarvis is ongoing, crews will also replace an aging water main on Gloucester Street. The street will be temporarily closed at Yonge Street and a stretch between Yonge and Jarvis will be reduced to a single lane. The decision to replace any individual water main is based on age, condition and the number of breaks it has seen in the past, D'Andrea said. The city is trying to "get ahead of the curve" and replace crumbling infrastructure before "it begins to impact us quite significantly," he continued. There are about 1,400 water main breaks per year in Toronto, he explained. Replacing those at the end of their service life is "critically important" moving forward, D'Andrea added. Most of the work on the Jarvis Street will take place Monday to Friday, from 7 a.m. to 11 p.m., with some work on weekends and overnight as needed.